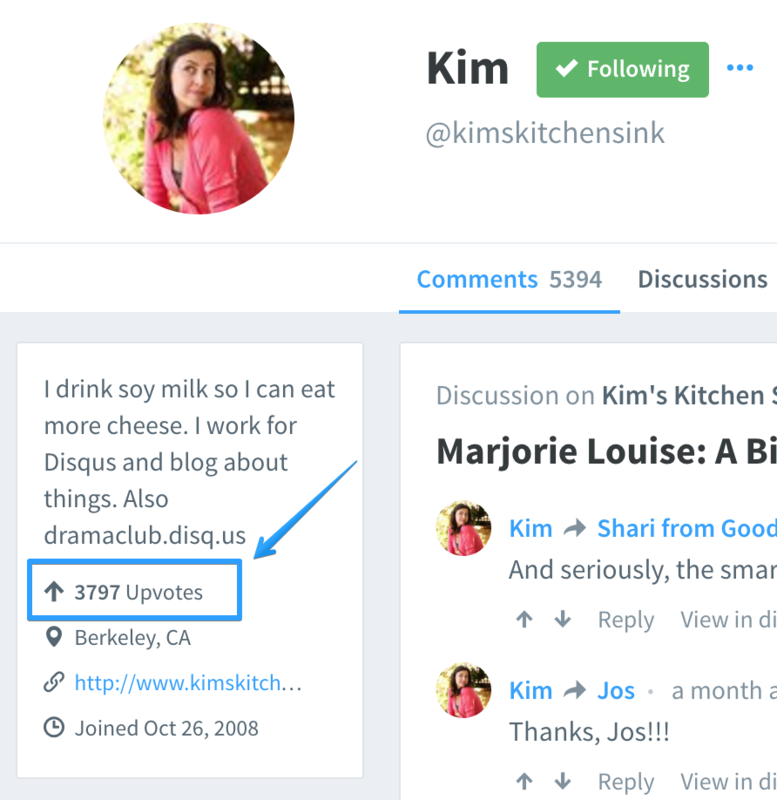 Your Disqus profile is the hub of all of your comment history. From here, you can see comments, frequented communities, discussions, recommends, and followers of yours or a user who's profile you may be viewing. 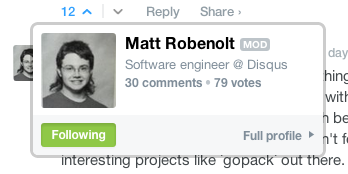 This profile makes it easy to manage your Disqus-self, in addition to aiding commenters chatting with one another by seeing where someone has commented recently. Completing your Disqus profile is not as time consuming as it would appear. Ensuring that you fill out your bio, username, display name, and avatar can pay off in the short time it takes to enter this information. This allows your community, or other communities you comment in, get to know a little bit about you and increases the chance that users would be interested in what you say and do. Bonus Tip: Other commenters are more likely to interact with a user that has a custom username, display name, and avatar, than they are with a user without any of that information filled out. Where can I find my total number of positive votes? The upvote count is displayed for each user directly in the profile bio. Total number of upvotes can also be seen by hovering your mouse over an avatar next to any comment. Why would I want to follow another user? Many comments posted through Disqus are hilarious, insightful, or just fascinating to read. Following other users keeps you up-to-date with the latest news that's relevant to you. After you choose to follow someone, his or her activity will show up in your Home feeds and Daily Digest Email. Following users is a great way to discover new communities that you never knew existed. Everyone has different interests so following some of your favorite commenters can be a great way to find new and interesting communities. ​Where can I find interesting people to follow? 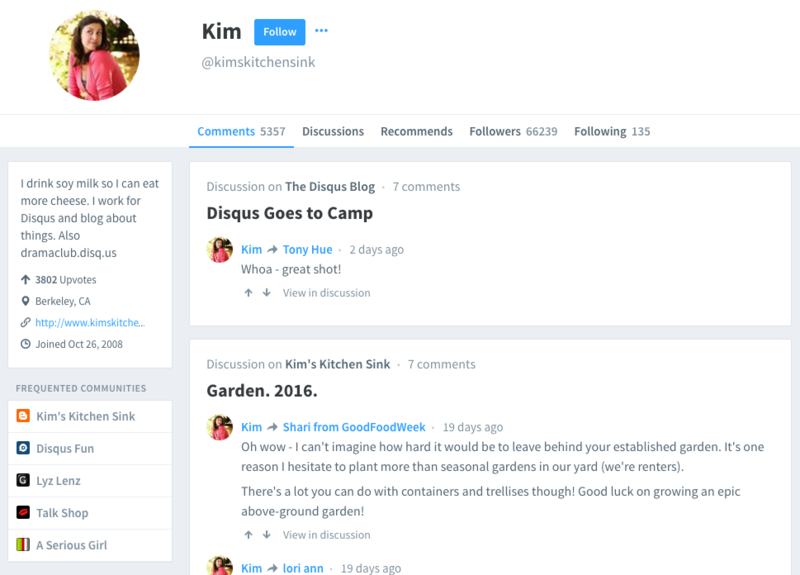 To get you started, head over to Home and follow some users that are already using Disqus. 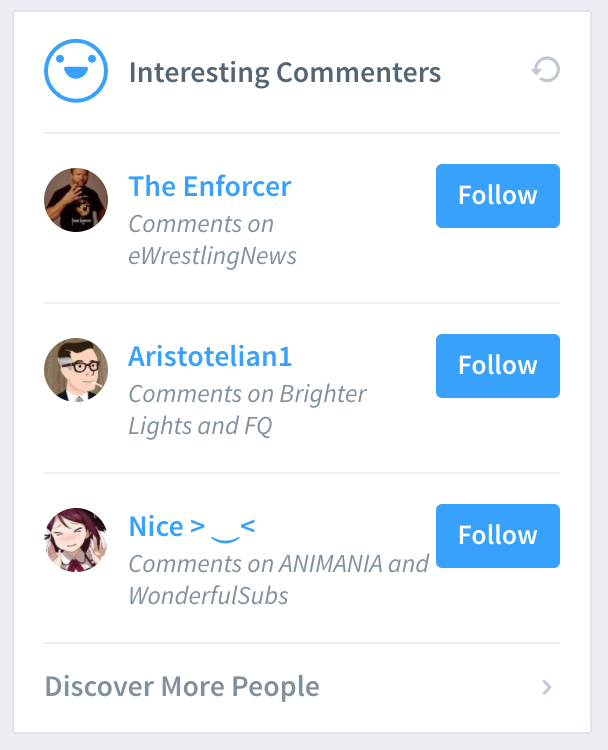 You can follow other Disqus users the way you normally would from the discussion or on someone's profile, but we've also added some new ways to follow people. If someone starts following you, or they reply to one of your comments, the you can follow them from within your notification feed by clicking the follow button next to their name. You can also follow a user from the Interesting Commenters section in the sidebar of the homepage. Can I hide my profile activity from being shown? Yes! You can make your profile activity private which will also disable following for your account. Your avatar and display name will still be public. While you can make your profile activity private, your comments will still be public in the original discussion thread, and may show up in search engines, for example.